Self-adhesive. 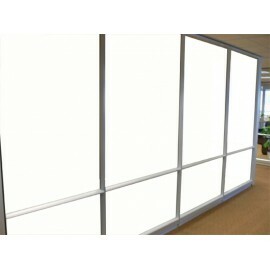 Reduces solar heat, glare and UV by over 80%. This Gold mirror window film can help reduce heat and glare by up to 80%. It will also give you excellent daytime privacy. 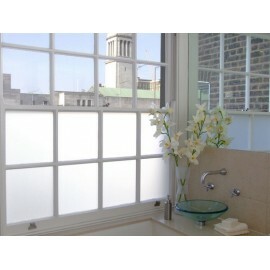 This Mirrored film is suitable for all types of flat glass windows. 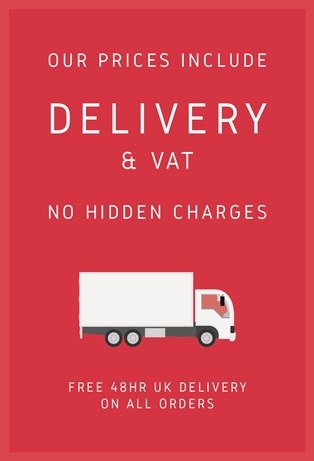 It can be used in the home or office it is the highest quality professional window film. 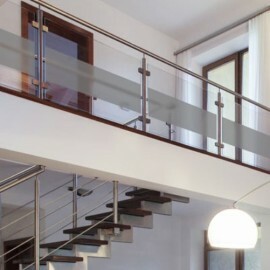 Our one-way mirror film is not recommended if you are trying to achieve privacy between internal rooms, unless both rooms have a difference in light ratio, for example, one is darker than the other. Our Mirror Gold privacy window film works by reflecting whichever side is brightest. Meaning it is fantastic for external facing glazing where the sunlight is brighter than the artificial light. Once fitted, it is entirely resistant to moisture and condensation, so a great choice for both bathrooms and kitchens. 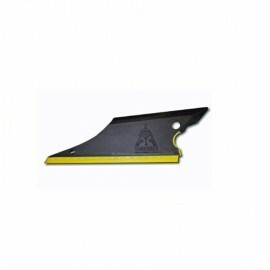 It is also very durable and easy to clean. The One Way Window Foil is easily installed by using soapy water and a few basic household tools. Easy to cut & trim to size. Reduces Solar Heat Gives excellent one-way vision during the day. Gold Mirror Window film, is ideal for internal interior partitions ‘with different light levels’, glass staircases, offices, bathrooms, shower screens, vehicles, residential and commercial applications, infinity one-way mirrors and many other uses. 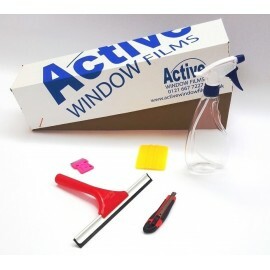 The glass Foil / Film is fitted by using soapy water and a few basic household tools, these tools can also be purchased directly from us, it's easy to cut & trim to size. Reduces Solar Heat and gives excellent one-way vision during the day. 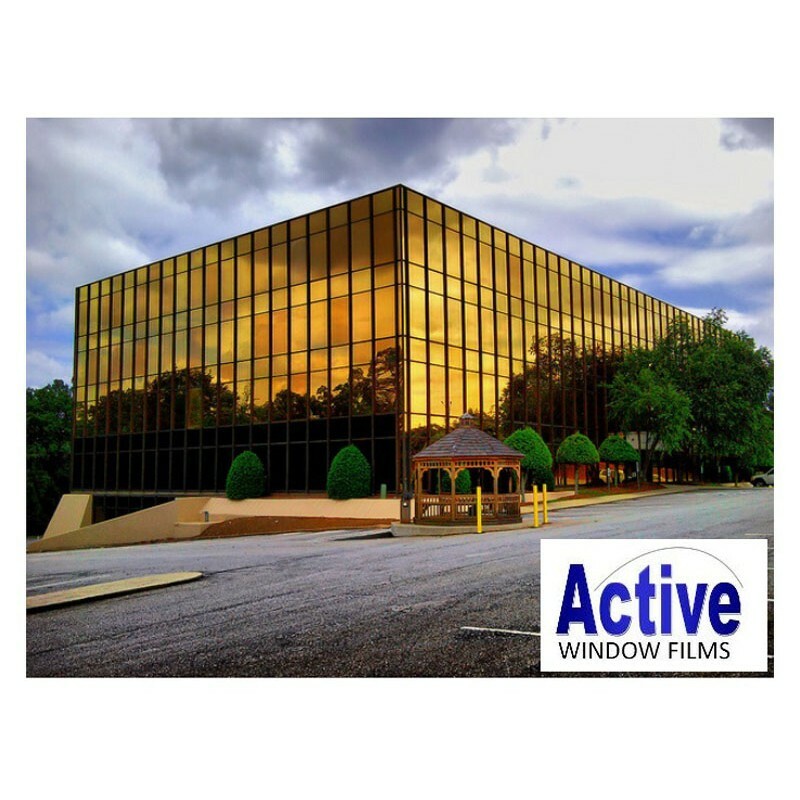 Another benefit of Reflective Gold Window Film is its ability to reduce 98% of UV light (the main cause of fading). When used as a source of Privacy, Gold one-way mirror window film will work in the following method; the side with the most light will be mirrored in appearance and the side with the least light will allow a one-way viewing experience, the ability to see through the glass. If the Reflective Gold Mirror Window film is used to reduce Glare or Excessive Solar heat, the Mirrored Gold film can reduce heat transmitted through the glass by as much as 80%, this can make an enormous difference to the usability of glass rooms and conservatories during summer, the Gold Reflective Window Film is a great way to upgrade your glazing, covering your windows with this product is a great alternative, to old-fashioned net curtains/blinds. The Mirror Gold One Way Film, is designed to be permanent so will be very durable long term and is easy to maintain and clean, should you decide to remove the product, it can be removed, with either a steamer or scrapper. Mirror Gold Window Film, companies in a handy roll. This product is also known by the following other names, Gold Privacy One Way Window Tinting Film, Gold Solar Control Window Tint, Gold Reflective Glass Film, Internal Gold Reflective Window Foil, Mirrored Gold Glass Film, Sticky Back Plastic Mirror Glass Covering Gold & Mirror Privacy Window Film. The Mirror One Way Window Film Fitting Instructions, Technical specifications and glazing suitability chart is available to download at the bottom of the page.